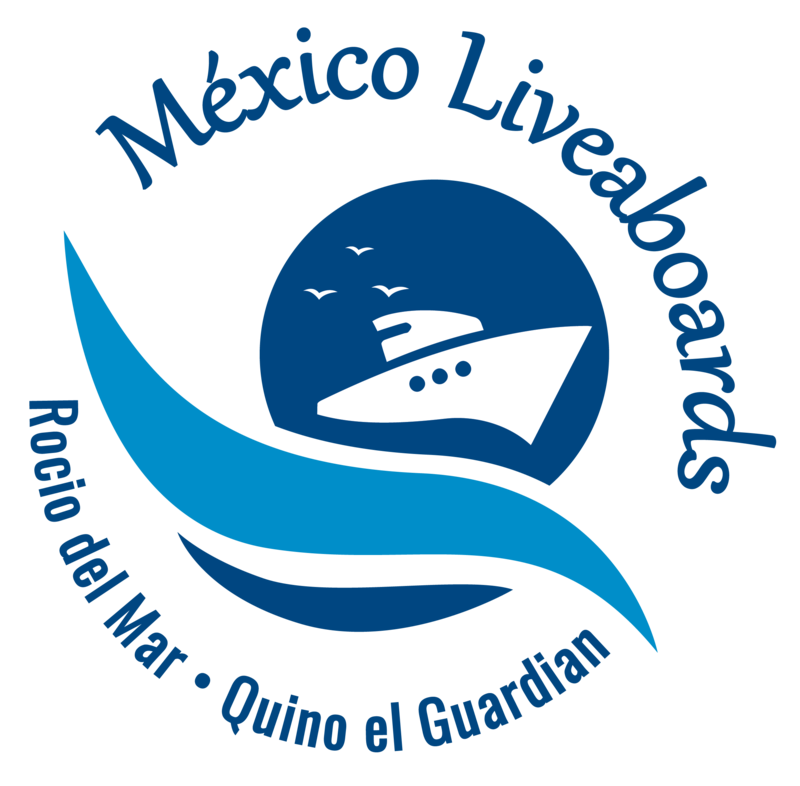 MEXICO LIVEABOARDS - Your ticket to the Magical Waters of Mexico! 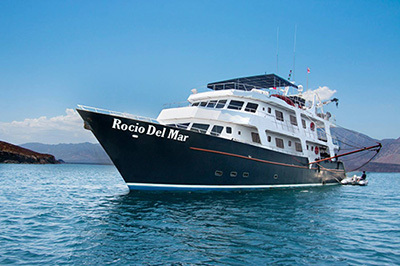 Highly regarded liveaboards, both ROCIO DEL MAR & QUINO EL GUARDIAN offer fantastic experiences to the iconic dive areas of the Socorro Islands, Sea of Cortez and Baja California. 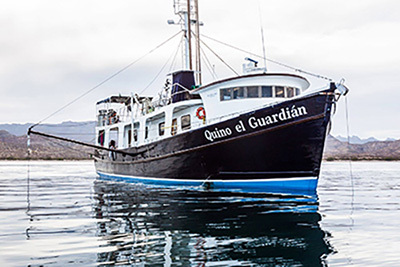 Diving from Rocio del Mar, or her brother, Quino el Guardian, offer guests three itineraries to choose from. Divers can go to the Socorro Islands to swim with giant manta rays, hammerheads and humpback whales, to Baja California to dive with mobula rays and playful sea lions or the Midriff Islands in the Sea of Cortez with abundant marine life from nudibranchs and colorful jawfish to fin whales and whale sharks. Whether you enjoy the private cabins on Rocio del Mar or the incredible value and Citizen Science program offered on Quino el Guardian, guests will enjoy the splendor of our destinations, our delicious food and the personal attention of our crew. SOCORRO ISLANDS - WHERE THE WILD THINGS ARE! The Archipiélago de Revillagigedo is 250 miles off Baja’s southern shore and are a spectacular magnet for the largest ocean pelagic animals in the world. In addition to the inquisitive giant manta rays, the islands attract schooling hammerhead sharks, tiger sharks, silky sharks, Galapagos sharks, clouds of jacks and barracuda, tuna, wahoo, oceanic white tip sharks, and friendly bottlenose dolphins. Mid-February through mid-April is humpback whale season and November, December and May are whale shark season. SEA OF CORTEZ/MIDRIFF ISLANDS - EASY TO GET TO YET IMPOSSIBLE TO FORGET! Called “The Worlds Aquarium” by Jacques Cousteau, divers experience untouched walls and reefs abounding in marine life. Encounter large and small whale species, giant pods of dolphins, sea lion colonies, turtles, rays, octopus, eels, mobula rays and countless species of fish in unheard of quantities. It’s a macro photographers dream with nudibranchs, colorful blennies, dancing jawfish and seahorses. Between dives, enjoy a hike or kayak remote islets. This trip is great for snorkelers, too. A trip highlight is snorkeling with whale sharks. EXPLORE BAJA - EXPLORE OVER 700 MILES! Go off-the-grid for 13-days to experience the incredible diversity of the Sea of Cortez by diving from one end to the other. In addition to the Midriff Islands itinerary, enjoy a night dive with mobula rays, see schooling hammerheads and dive wrecks, Fan Ming and Salvaterra. And we are seeing manta rays again! See the incredible life on the surface including pilot whales, humpback whales, blue fin whales, orcas and sperm whales along with blue and brown footed boobie birds, cormorants, frigate birds and the endemic yellow footed gulls. While we have an itinerary, we stay open to what Mother Nature may bring our way.